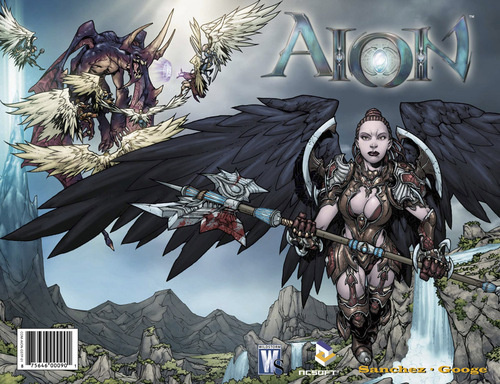 A few months ago I was assigned a new gig with Wildstorm writing up a comic based on NCSoft’s forthcoming MMOG Aion. The game has a pretty extensive back story and the turn around was practically zero, but the book was a ton of fun to write and I got to work with artist Neil Googe, who’s work I think is awesome. Aion: Aiva’s Story is a one shot, meaning a one issue series. Hopefully it will turn into a real series. I’d love to write it! Below is the wrap around cover Neil did.